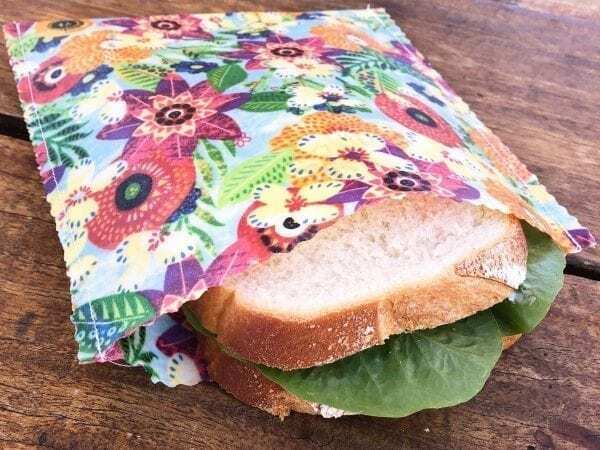 This pack contains two medium squares 20 x 20cm; great for wrapping small cheeses and snacks and for placing over a medium sized bowl, wrapping a bunch of herbs or holding a bunch of grapes or berries. The image here contains just some of our current range, which is updated frequently. 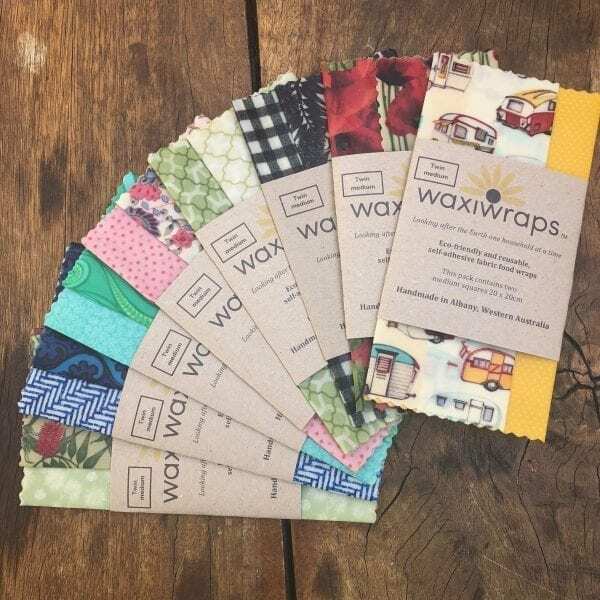 Waxiwraps™ are premium beeswax fabric food wraps, containing a natural blend scientifically formulated from contaminant free Western Australian pure beeswax, jojoba oil, coconut oil and natural tree gum (damar resin), and infused into 100% top quality cotton fabric. 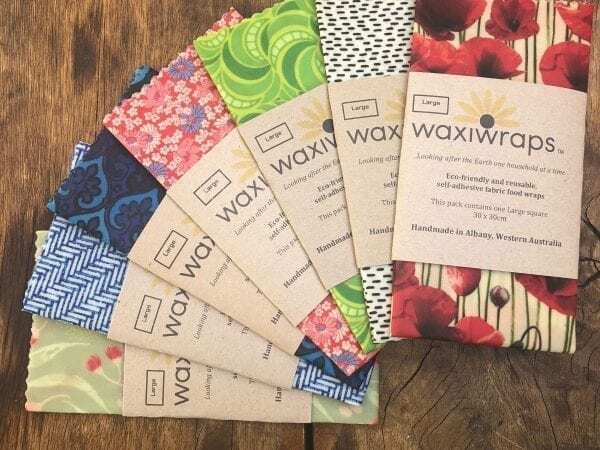 Wherever you would use plastic wrap, you can use a Waxiwrap. 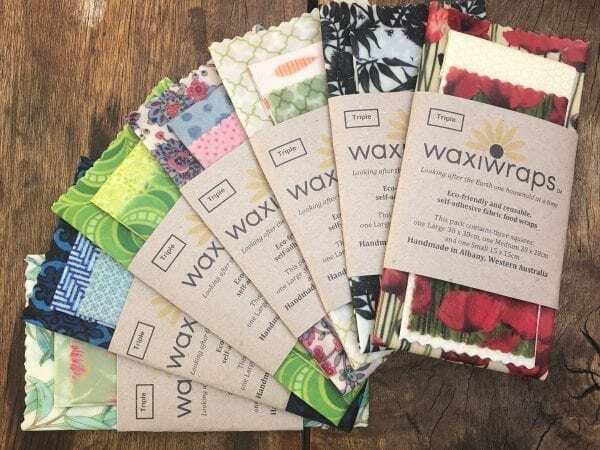 Waxiwraps™ can be used for over 12 months, and at the end of their useful life you can put them in the garden compost, or even toss them into a fire to burn. Note: Do not use Waxiwraps™ for meat wrapping or hot food dishes. To clean simply wipe with damp cloth or wash in cold water with a dash of detergent; hang to dry in shade or place on dish rack. 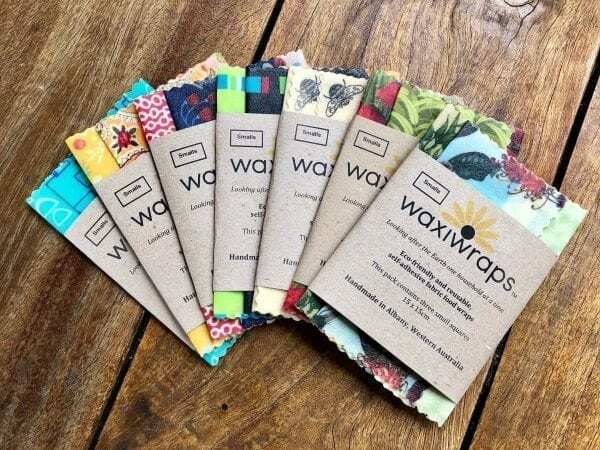 Waxiwraps™ help you integrate sustainable waste solutions in your home, reducing unnecessary landfill. Served to you by Unbranded Space.